Well, after what seems like ages the news is now official. I’ve been appointed Head of the School of Mathematical and Physical Sciences at the University of Sussex. I’ll be taking up my new job on 1st February 2013. I was actually offered the job back in September and decided pretty quickly to accept it, but there have been quite a few things to sort out before the news could be made public. Anyway, yesterday the University of Sussex decided it was time to make a formal announcement, and there we are. As I am quoted as saying in the press release it will definitely be a wrench to leave Cardiff. I’ve really enjoyed living and working here for the last five years or so, and will miss the staff and the students of the School of Physics and Astronomy at Cardiff University. I’m especially grateful for the help and support I received during the difficulties I experienced this summer. However, I felt the position at Sussex represented an exciting opportunity to make a fresh start which would offer new and exciting challenges and which I couldn’t afford to turn down. It means a lot that my Cardiff colleagues – particularly the Head of School, Walter Gear – have accepted my decision in such good spirit, and are doing everything possible to smooth the transition. As it also explains in the official news item, I’m not exactly a stranger to Sussex. I did my DPhil there (from 1985-88) and stayed on for a couple of years as a PDRA (1988-90). That was a long time ago, of course. In fact, in those days I was a member of a School called “MAPS” (Mathematics and Physics). I’ve been back to Sussex on numerous occasions over the past twenty-odd years, usually discovering that some reorganisation had happened – Maths separated from Physics, changes of building, and so on. Now, ironically, I’ll return to a School that, on paper at any rate, looks very similar to the old MAPS and is even back in the same building! Plus ça change. I won’t be leaving Cardiff immediately, of course. I’m still an employee of Cardiff University and will do my best to carry out my duties until the end of January. That means I’ll carry on lecturing as normal, and will be around to mark the examinations after Christmas. I also have two PhD students and three final-year projects students, and will be travelling back to Cardiff regularly to ensure they continue get as much supervision as they need even after the (formal) end of my employment here. I’ll also be continuing to collaborate with folks in Cardiff (and elsewhere) on, e.g., the Herschel ATLAS survey. 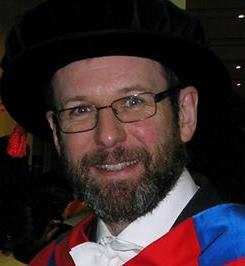 The position of Head of MPS at Sussex only became available because of the untimely death of the previous Head of School, David Axon, in April this year, so I’m fully aware that the circumstances that have given me such a wonderful opportunity have also brought much sadness to David’s colleagues and loved ones. I only hope that I can build on the many excellent things he did during his time at Sussex, and so eventually earn the respect and acceptance of the School. Many of my colleagues at Cardiff have expressed sadness that I’ll be leaving. But just as there are exciting developments in the pipeline at Sussex, so are there different but equally exciting things in store at Cardiff. In no way will my departure have a negative impact on the School of Physics and Astronomy at Cardiff University. Quite the contrary, in fact. There will now be a bit more headroom in the budget that I’m sure will help bring at least some of the School’s plans to fruition. And anyway, as I said previously, I’m not going just yet. I’ll probably keep the house in Cardiff until the spring (at the earliest) so I’ll be back here regularly, especially when it’s Opera season. And having branches in both Brighton and Cardiff for a while might even give me an excuse to have two 50th birthday celebrations next year!